SEO campaigns, social media marketing, and a plethora of other elements of a strong online presence are constantly competing for the attention and the investment dollars of online businesses, but optimizing your website remains the core to creating a high conversion rate. The first principle of Web design to keep in mind, ironically, is to not “over-design.” That is, don’t add in numerous extra elements that serve no specific purpose. Doing so will only make it more difficult for site visitants to find what they’re looking for and lead to confusion and frustration, regardless of how entertaining those unnecessary elements may seem to be. In regard to color schemes, for example, most experts recommend at least three but no more than seven be used. For online usage, there is a general consensus that some form of Sans Serif font is easier for viewers to read and that the best overall font size is 16pt. It also generally best to use no more than three typeface and 3 pt size options, and it is critical that background versus font colors contrasts to improve “readability.” Finally, don’t fill up the screen too tightly: a lot of white space can be beneficial in that it keeps your pages looking clean and uncluttered. It is important to make the most important elements on each page stand out naturally, based on color, size, and position. Note that readers’ eyes tend to move from the top of the screen to the bottom and from its left to its right, so position calls to action and desired highlights accordingly. Using an unusually bold color contrast and making important elements larger than other elements on the page also helps. You want those who visit your site to spend their time investigating your products/services and, hopefully, making a purchase, not struggling to find their way around, getting “stuck,” and finally abandoning your site to never return again. To accomplish this, keep a fairly simple navigation bar always at the top of the page, avoid going more than three layers deep, avoid giving too many navigation options all at once, show the visitor’s navigation path in the page’s footer, and include clearly marked internal links. You want your website to feel like a unified whole, not like three of four radically different websites randomly pasted together. There should be color, text, and tone consistencies throughout the site. Variation should also be used, but still consistently. Meaning, use a consistently distinct layout for particular “types” of pages, while allowing some elements to appear in every page. These days, users access the Internet via a wide range of devices, browsers, and Operating Systems, with mobile access being especially on the rise. Invest in responsive design software that can auto-adjust screen size and other elements based on which type of device the visitor is using. Also add alt-text to describe each image since some users will not be able to view those images. While you want your website to be unique and innovative, there are still certain conventions that online users are accustomed to and have come to expect. It is best to follow these to avoid unnecessary confusion/frustration. For example, a navigation bar at the top of the screen, a brand logo in the upper left corner, and links that “light up” when the mouse hovers over them are conventions that are probably too deeply ingrained to be discarded. 8. Work to Engender Trust. No matter how flashy and functional your Web design may be, if visitors are unsure about your site’s credibility or even of whether or not they have a secure connection, sales will plummet. Trust levels generally go up when customers see the green http://, the “security lock” logo, an About Us page, an address and contact information, easy access to the price tags on your products, and clear, honest descriptions of those products. One of the latest trends in Web design is the split-screen layout, which divide the screen into two or more subsections, each devoted to a particular category of product or service or taking you directly to a major division of the website. Regardless of whether or not you opt for split-screen, you cannot afford to abandon layout grids. Grids allow you to organize each page, to create columns and boxes and to use every square inch to maximum effectiveness. 11. Make Calls to Action Prominent. Your CTA buttons should stand out due to color contrast, size, and positioning. They should also be easy to find due to “isolation.” Remove unnecessary distractions from around the CTAs so that they stand out as clearly as possible. Using software that learns the history of past viewers as to which pages they visited when previously at your site, what past purchases they have made, and even their general browsing patterns, allows you to place appropriate offers and ads and otherwise personalize the experience. This is what Amazon.com, for example, and other online retailers do to great effect. “Hick’s Law”, almost as well-known in Web design circles as Newton’s Law of gravity to the general public, says that the time it will take a customer to make a decision is directly proportional to the number of choices he/she is confronted with. Limit yourself to one CTA per page, collapse less-used menu options and have a simple navigation bar, and use links sparingly. Fewer choices mean a higher conversion rate. In Web design, you should be periodically A/B testing all elements of your website to continuously gain effectiveness and to examine new trends to see how well they convert. Test checkout pages, product pages, CTA buttons, videos, images, headlines, testimonials, and everything else. Doing everything possible to optimize your website for high conversion rates will pay off in the end. 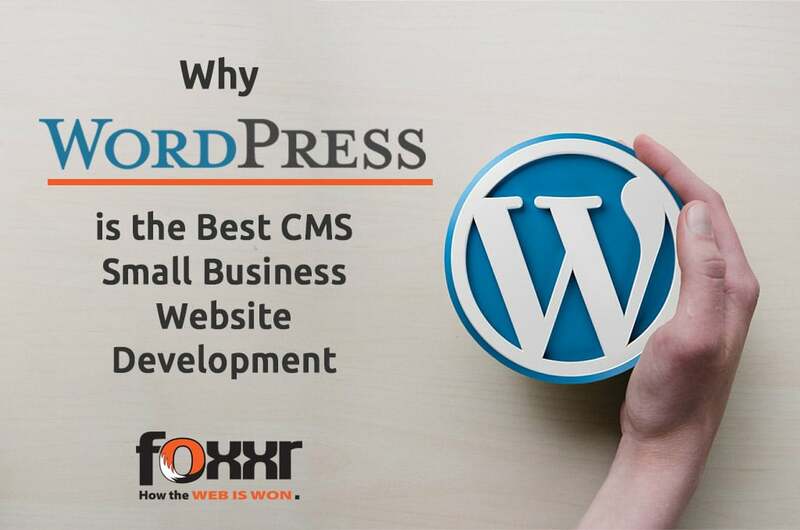 But be sure to get help from professional Web designers, like those at Foxxr.com, to ensure your website is at its full potential. Need Web Design for Your Business?